Many experts say this is one of the best clubs in Europe. 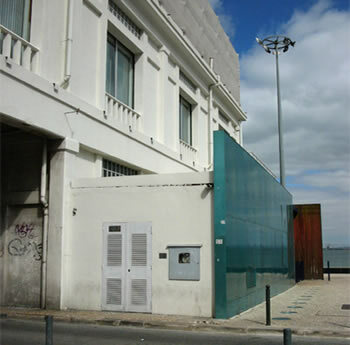 A three floor building on a unique location along the river Tejo, near train station Santa Apolónia. After his succes with the Bairro Alto club Fragil, Manuel Reis used his experiences in creating this trendy hot spot together with associate John Malkovitch (yes, you are right, the actor). This club is certainly still one of the top clubs in town, but the glory days were the opening year 1999 up until about 5 years ago (I’m sorry, but we have to be honest). Still worth a visit though, not in the last place for the top musical attractions you will find here. The view from the gigantic balcony also remains unbeatable. The place is divided in three floors. On ground floor you will find the club area, a rectangle and dark room with two bars and a stage. First floor is a bar and lounge, with a smaller open space in the middle for dancing. But go to the balcony first and take your time to enjoy the riverview. The decoration of the bar/ lounge changes at least every half year (my personal favourite was the era that the whol place was filled with enourmous beenbags and ‘pouffes’). The second floor is a roofterrace, only open in summer. Lux fragil open it’s doors for clubbers usually around midnight, but the best time to arrive is from 3.00 till 5.00. 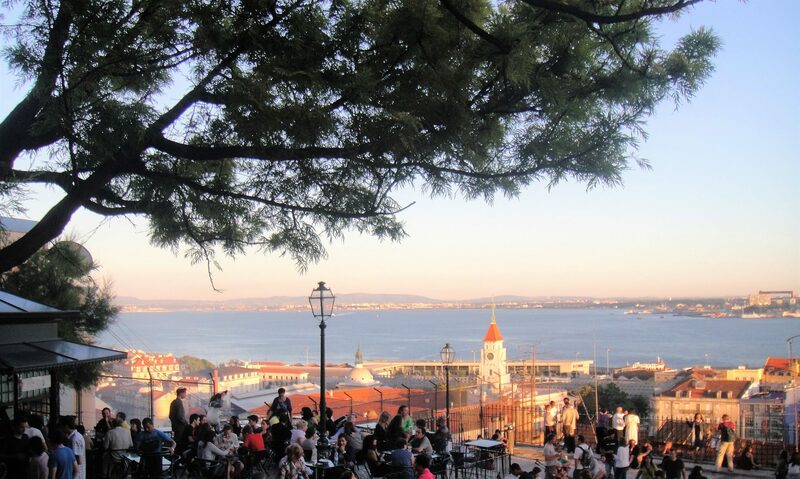 As most bars in Bairro Alto close around 2:00 am, all barowners, DJ’s and nightflies choose where to go. Doors close at 5:00. But the club stays open till about 08:00 or 09:00. There’s many concerts in Lux as well, starting earlier. 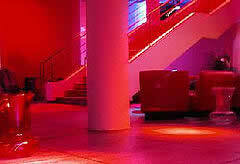 For an agenda of the clubnights and the concerts visit the luxfragil website. All major DJ’s from Europe play in Lux, but there are a few Portuguese stars that made their way to the top behind the desks in Lux Fragil. Probably the most famous of them all is DJ Vibe. Check out some of his mixes on his myspace page. Facebook. He’s one of the residents in Lux and of course a well-known producer. Rui Vargas is no doubt one of the Lux Fragil dinosaurs. You can see him in Lux almost every week.